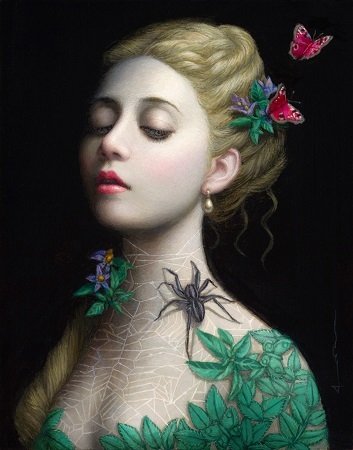 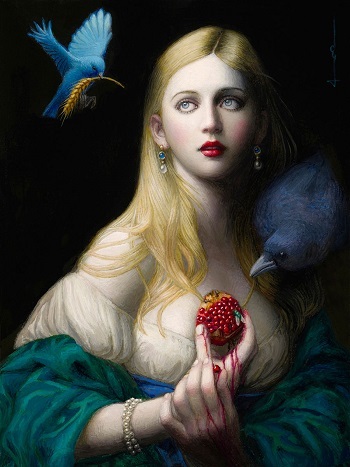 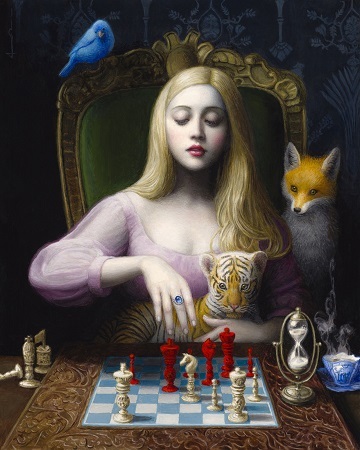 Visuals silences in the imagery of female artist Chie Yoshii are being exhibited until November 24, 2018, at the contemporary pop art Gallery Corey Helford in Los Angeles California. 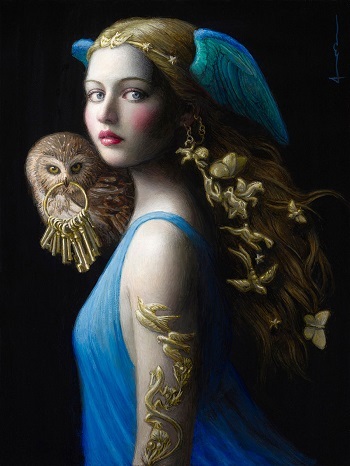 Fourteen artworks: oil paintings on canvas and wood panels and graphite drawings are part of the creations from Chie Yoshii for this solo presentation. 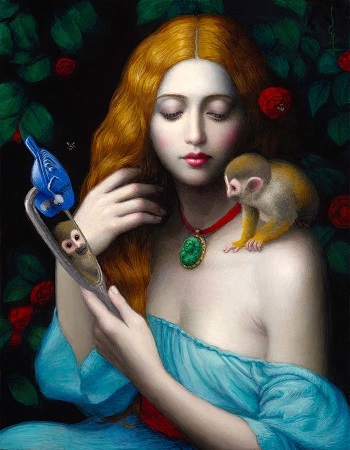 In the images, there are two protagonists: the light that pours the female faces and the construction of naturalist new goddesses. 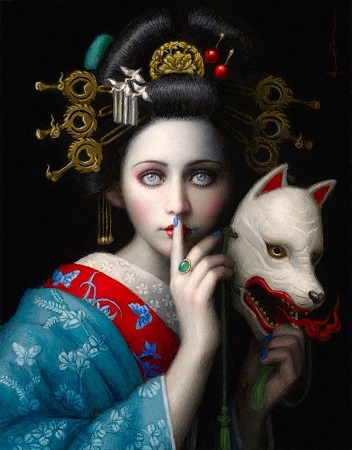 The darkness that surrounds the depictions begins glowing when the characters appear with subtle gentleness. 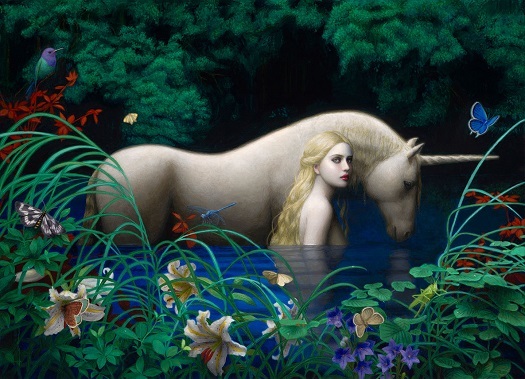 Quiet scenes where the fauna have been domesticated by beauty will be appreciated by the visitors.